BEFORE EACH SPRAY, SHAKE CAN WELL. Hold canister 10' away from dry hair. Section hair, lift & spray roots to ends. Repeat until desired style is achieved making sure to shake can between each spray. Tousle hair with your fingers. Spray on finished styles for extra texture and hold. It's powered by our Volumizing + Texturizing Molecule (ETAS), which adds volume to your hair by increasing the space between hair fibers. The result: your hair will have instant, weightless volume and texture that lasts. Does Full Dry Volume Blast work on all hair types? Full Dry Volume Blast was formulated for fine, flat hair but will work for anyone who desires more volume and texture. Will Full Dry Volume Blast weigh my hair down? Full Dry Volume Blast will not weigh your hair down; our ETAS technology provides weightless volume and texture so your hair will stay voluminous all day. Can you use Full Dry Volume Blast with Dry Shampoo? Yes, use Dry Shampoo to clean hair and then apply Full Dry Volume Blast to build your desired volume and texture. Can Full Dry Volume Blast be layered with other products including the rest of the Full line? Yes, you can use Full Dry Volume Blast with other products. For even more volume you can use Full Root Lift, Full Thickening Mousse or Full Thickening Cream. What should Full Dry Volume Blast feel like in my hair? Your hair will feel more texturized than it would without it. My hair feels dry, is this damaging my hair? What you are feeling is the ETAS technology plus our lightweight polymers creating texture and volume between your strands. Do I need to shake Full Dry Volume Blast before using it? Yes, you need to shake Full Dry Volume Blast before each spray because our ETAS technology is so lightweight that they float in the can and need to be shaken to reincorporate into the formula. Does Full Dry Volume Blast provide heat protection? No, Full Dry Volume Blast doesn’t provide heat protection. Does Full Dry Volume Blast provide UV protection? Yes, Full Dry Volume Blast contains UV defense that absorbs harmful, damaging UV rays from the sun. 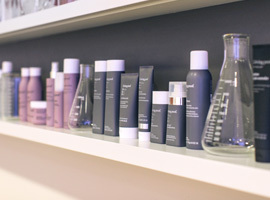 Is Full Dry Volume Blast safe for color or chemically treated hair? Yes, Full Dry Volume Blast is safe for color and chemically treated hair. 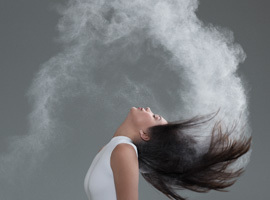 What is the fragrance in Full Dry Volume Blast? The fragrance is a light, sweet fruity blend. 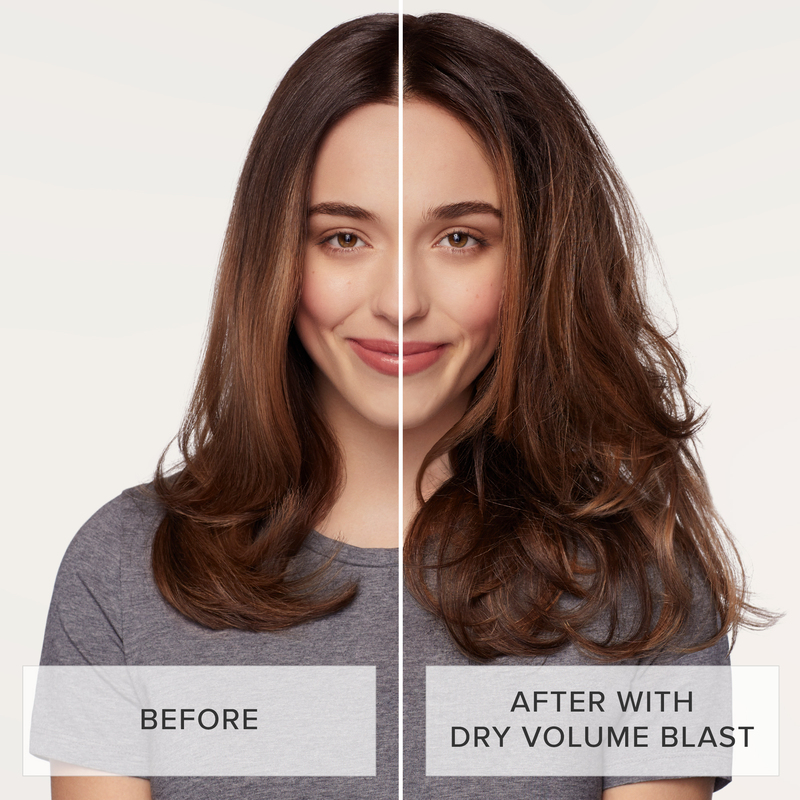 Can Full Dry Volume Blast be used as a dry shampoo? Some of the Texturizing agents in Full Dry Volume Blast will absorb excess oils that can deflate your style. But, unlike our PhD Dry Shampoo, they will stay on the hair to give volume and texture. So, while your hair may look less oily/greasy, it will not be clean. 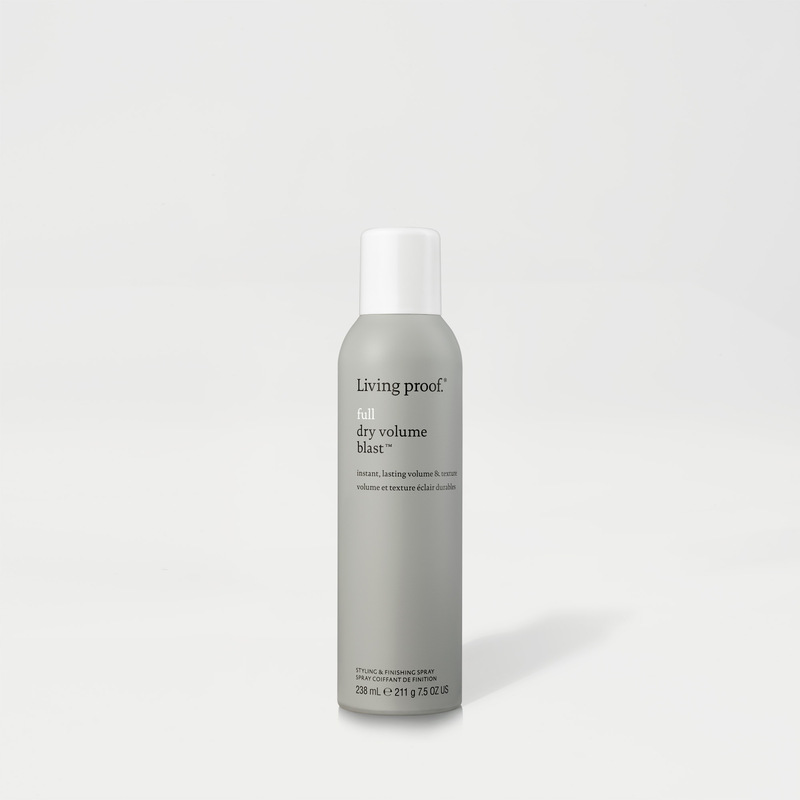 For best results, we recommend using PhD Dry Shampoo to clean your hair, then follow with Full Dry Volume Blast to achieve the desired volume and texture. If my hair feels dry after using Full Dry Volume Blast what products can I use? If you have fine hair, we recommend Restore Instant Protection spray. If you have medium to thick hair, use No Frizz Nourishing Oil. 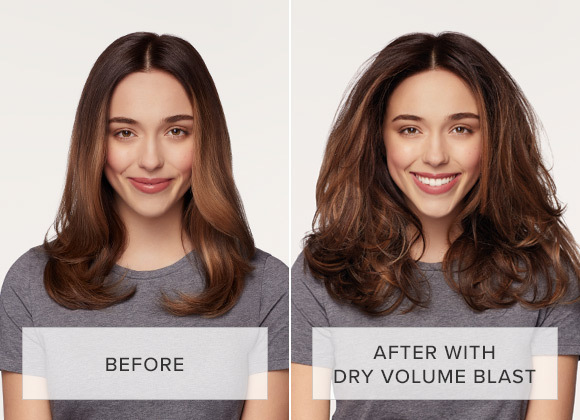 How is the volume and texture created by Full Dry Volume Blast different than the results you would get from Instant Texture Mist or Amp? 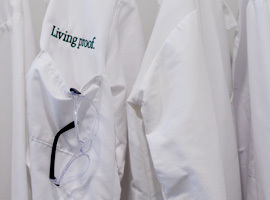 Both Instant Texture Mist and Amp contain our proprietary thickening molecule, PBAE. They will add friction to the hair, making it feel thicker. Full Dry Volume Blast contains our newest technology, ETAS. It is lighter and bigger than PBAE, so it will deliver weightless volume and texture. For superior results, you can layer Full Dry Volume Blast over your favorite PBAE containing product. ETAS stands for Expandable Textured Aero-Spheres. It’s lighter and bigger than industry-standard volumizing ingredients, so it delivers big volume and texture on your hair without weighing it down. I use silicone based products but really want to use this volume spray. Will it still work? Yes, Dry Volume Blast will work on hair that has previously been styled with a silicone product. Does ETAS work well with PBAE? ETAS works great when layered in after using a PBAE based styler. We recommend using Full Thickening Cream or Mousse, styling with heat and then using Full Dry Volume Blast on dry hair to add more volume and texture. Does Full Dry Volume Blast work with the rest of the full franchise? Yes, we recommend using Full Thickening Cream or Mousse followed by Full Root Lift on damp hair, blow dry with a round brush. 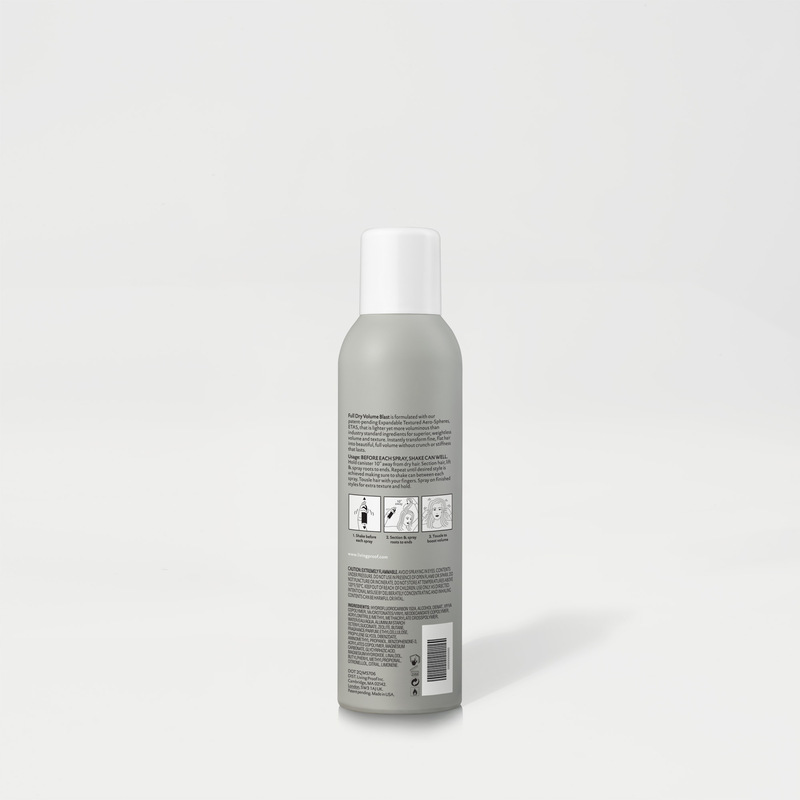 For additional volume and texture, spray Full Dry Volume Blast on dry hair. Additionally, if you already love the fullness you get with the Full franchise, use Full Dry Volume Blast on day 2 to add volume and texture. I use [No Frizz, Restore, PhD, Timeless] and really want to use Dry Volume Blast. Will it still work? 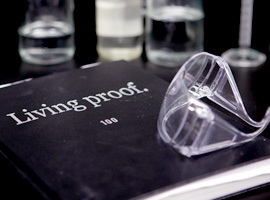 Yes, Dry Volume Blast will work even if you are not using the Living Proof Full line. I only wash my hair 1-2 times per week but want to use Dry Volume blast on the days I do not wash. Can I use Dry Volume Blast on back to back days? You can apply Dry Volume blast on back to back days it will intensify the texture and volume you already have. Instead of applying it again all over, try treating just a few targeted areas that you want the extra volume and texture. A lightweight conditioner that adds softness and shine while helping fine, flat hair to look, feel and behave like naturally full, thick hair. A lightweight mousse with flexible hold for long-lasting touchable body and fullness.